It’s frightening to consider, but pedestrian accidents can happen to anyone at virtually any time. When we stroll down a sidewalk or cross a street, we trust that others will behave responsibly. The law even requires drivers to exercise special care around pedestrians and bicycles. This includes all types of drivers, including those driving a car, truck or motorcycle. Yet every day, regular people just like you – and scores of children, too – are injured by the negligence or recklessness of a driver, a motorcyclist, or a bicyclist. The five boroughs of New York City are home to some of the world’s most congested and dangerous traffic conditions. If you’ve been injured while walking in the Bronx, Brooklyn, Queens, Staten Island, Manhattan, Long Island or another area in or around New York City and NY state, contact an experienced pedestrian accident attorney right away at the Law Offices of Thomas J. Lavin. Distracted driving and driving while tired also account for a large portion of car accidents, motorcycle accidents and truck accidents, including those involving pedestrians. A portion of these cases are also hit and runs. Sadly, many car, truck and bus accidents involving pedestrians are fatal due to the size differential. 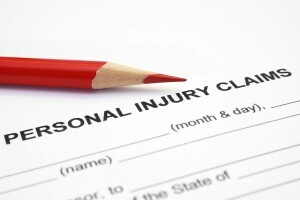 Our lawyers are also here to represent you if a loved one was killed in an accident. Pedestrian accidents can happen anywhere and aren’t limited to busy streets. Parking lots and garages are particularly dangerous for pedestrians. And vehicles moving at low speeds can still cause a serious injury or even death. If you’ve been involved in a pedestrian accident, you need to take legal action as soon as possible in order to maximize your chances of recovering the compensation you deserve from your losses. Our Bronx law firm will represent you while dealing with insurance companies too, as it’s not uncommon for insurers to pay just a portion of what a victim is entitled to receive. Contact the Law Offices of Thomas J. Lavin by calling 718-829-7400 or toll free at 800-394-4216. If you’ve lost an immediate family member in a pedestrian accident, obviously your grief and suffering cannot be relieved by money alone, but a wrongful death claim can help your family recover the many unforeseeable expenses associated with a loved one’s sudden, accidental death. The Bronx walker accident attorney at the Law Offices of Thomas J. Lavin have 30 years of experience defending accident victims and their families, and our record of success speaks for itself. When a negotiated settlement cannot be reached, we will not hesitate to take your case to trial and bring our considerable resources and experience to your defense. If you’ve been injured – or if you’re injured as a pedestrian in the future – call us for a free consultation immediately after you receive medical treatment. We never charge a client until you are awarded the compensation you need. If you are injured in a pedestrian accident in New York, and another person’s negligence caused your injury, speak to an experienced Bronx pedestrian accident attorney today at the Law Offices of Thomas J. Lavin. Call us at 718-829-7400 or toll free at 800-394-4216, or complete the form on our Contact Page and take the first step now.